Remanufactured Okidata Toner Cartridge, Magenta, 6,000 page yield. Replaces Okidata part number: 44315302, Type C15 Magenta. Color Laser Toner Cartridge compatible with Okidata C610. 18 out of 19 (94.74%) customers would recommend this product to a friend. No issues with this cartridge...Got it, put it in and now printing again. The price was great and the installation was a cinch. All I can and will say is this, Ink technologies is the only place that I buy all of my ink from... for work and home ! I was a bit skeptical due to a bad experience refilling my ink in the past, and ruining my printer. However, the customer service rep assured me that the failure rate of this product is very similar to the OEM. So I went for it due to the huge savings. It worked great!! No problem with the printer rejecting the remanufactured cartridge. Lowest cost Toner Cartridges I could find...Good Quality, fast shipping, easy returns. This is the only company I buy from now. This toner is so much cheaper than the original Oki toner...so I was a little skeptical. But, it was such a great deal that I had to try it. So far (after about 400 pages), the toner works great. The color looks exactly like that from the Oki toner! I will be back (and already have been!) to purchase more. Thanks for the great deal! This company offers great ink toners at a great price. The quality looks unchanged from the Manuf. I cannot complain. Thanks! I chose the rating of 5 across the board, because in all honesty I cannot find anything wrong with the cartridges as much as I try. I'm so happy I found this toner option. Keeps me printing for a great price. Cartridges are super reliable! I have been using these remanufactured toners for many years and have saved a lot of money. I cannot tell the difference between yours and and the OEM toner. Great savings on remanufactured cartridges! Great value, great product, fantastic, quick shipping. Was a little nervous about the toner since it was so much less than OEM, but seems to work fine. I can't tell the difference from the OEM. As I have said before, the ink for the Oki C610 is exceptional in quality, value and looks. I feel it is equal to or greater than the original ink. Remanufactured Okidata Toner Cartridge, Cyan, 6,000 page yield. Replaces Okidata part number: 44315303, Type C15 Cyan. Color Laser Toner Cartridge compatible with Okidata C610. Remanufactured Okidata Toner Cartridge, Yellow, 6,000 page yield. Replaces Okidata part number: 44315301, Type C15 Yellow. Color Laser Toner Cartridge compatible with Okidata C610. Remanufactured Okidata Toner Cartridge, Black, 8,000 page yield. Replaces Okidata part number: 44315304, Type C15 Black. 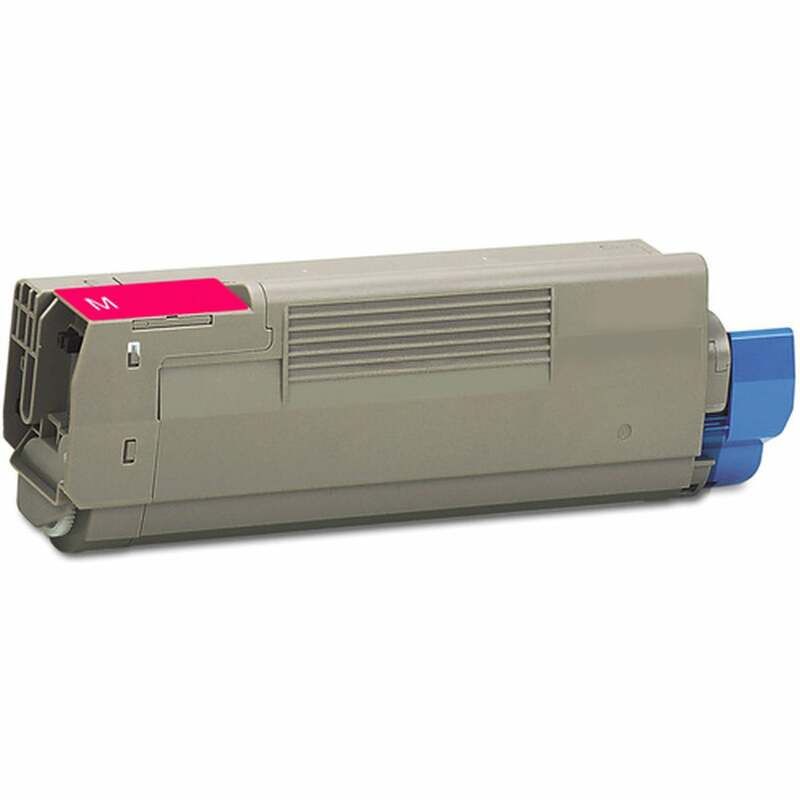 Laser Toner Cartridge compatible with Okidata C610.